Discovering new exoplanets has become rather routine in the last few years, but determining just what conditions exist on any of them is naturally more difficult, since they are so far away. But astronomers are making advances in this area as well, and now they have found the first evidence of changing temperatures – and possible volcanic activity – on a distant super-Earth exoplanet. The new research was led by scientists from the University of Cambridge, using data from the Spitzer Space Telescope. Over a two-year period, they observed a nearly three-fold change in temperature on the planet. While the cause isn’t definitively known yet, it is thought that the temperature changes may be due to volcanic activity. The planet, 55 Cancri e, orbits a sun-like star 40 light-years away in the constellation Cancer. It is about twice the size and eight times the mass of Earth. Temperatures on the hot “day” side of the planet (as it is tidally locked to its star) were seen to wildly swing between 1,832 and 4,892 degrees Fahrenheiht (1,000 and 2,700 degrees Celsius). The surface may be partially molten, since it orbits very close to its star and its year is only 18 hours long, much closer than Mercury orbits our own Sun. Since it is tidally locked and doesn’t rotate, one side is always facing its star. The changes in temperature may be due to huge plumes of gas and dust in its atmosphere. 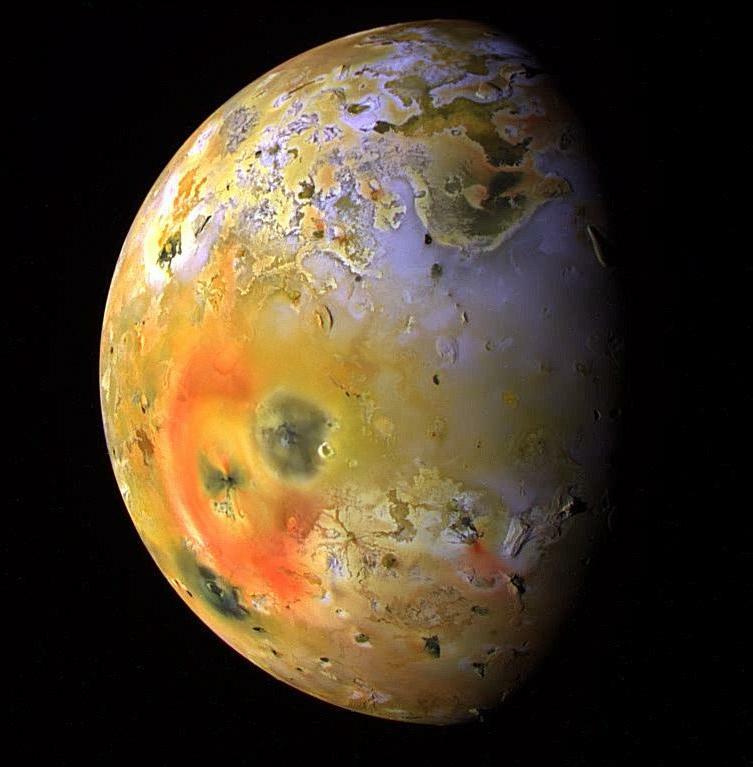 If so, the planet may be highly volcanically active, even more so than Jupiter’s moon Io, the most volcanically active body in our own Solar System. 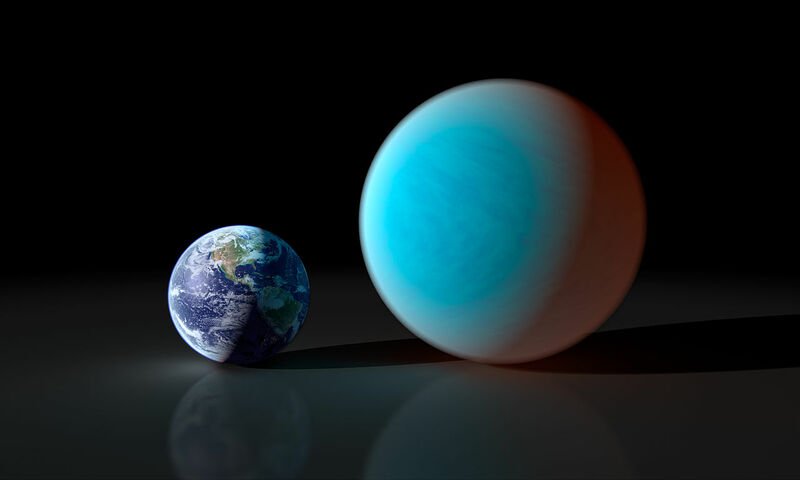 55 Cancri e is the closest known super-Earth exoplanet whose atmosphere can be studied by astronomers. Previous observations had suggested the presence of a large amount of carbon on the planet, perhaps even in the form of diamond, but now the new findings have raised yet more questions. 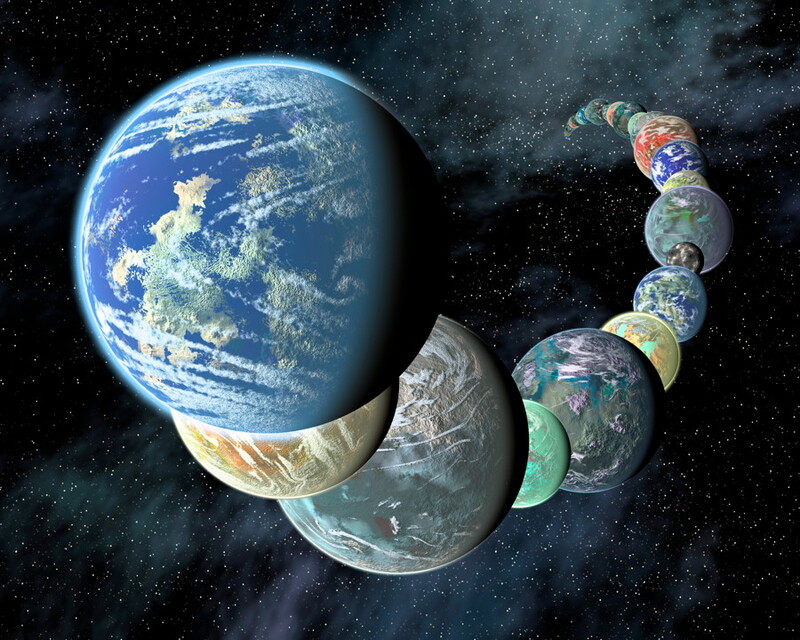 Super-Earths, larger than Earth but smaller than Neptune, are now thought to be one of the most common exoplanets in our galaxy, even though there aren’t any in our Solar System. Most are likely to be rocky like Earth, but probably vary widely in other characteristics. Some are thought to possibly be true water worlds, completely covered by oceans. 55 Cancri e is much too close to its star to have much if any water, at least on its surface, but it does give astronomers a chance to study one of these truly alien worlds in more detail. No one knows yet what 55 Cancri e actually looks like up close, but if Io is any indication, it may be very interesting indeed. Io is so volcanically active, its entire surface looks like a multi-colored sulfuric pizza and the moon has been essentially turning itself inside out over eons; it is one of the most visually stunning places in the Solar System. The new paper is available here. The study was also co-authored by Professor Didier Queloz of the Cavendish Laboratory and Dr. Michaël Gillon of the Université of Liège.